9600，於 Serial Moniter 上方欄位中輸入大寫 " AT " ，將收到回應 " OK "
以上為進入 HC-05 AT Mode 設定，若你在其他 Blog 或 論壇上找到的操作方法無法正常設定，或許你手上的藍牙模組有可能與我的相同是『掛羊頭賣狗肉』的 HC-05 ! 請問 我已經進入了AT Mode裡了(燈兩秒閃一次) 但我打AT 卻沒出現東西 請問這是哪方面出了問題? Serial Monitor 也出現 "Enter AT commands :", 但是輸入 AT , 在 Serial Monitor 得到的回應卻是亂碼. 因為 Serial Monitor 可以正常顯示 "Enter AT commands :", 表示 PC 和 Arduino 間的 baudrate 沒有問題. 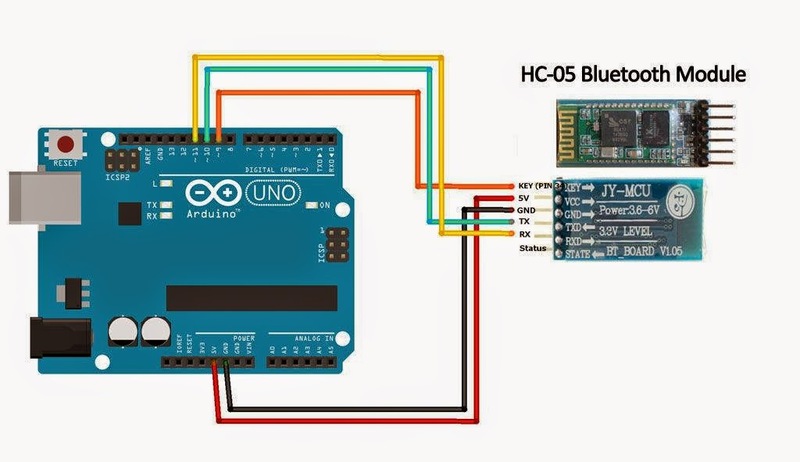 這個亂碼會不會是 HC-05 和 Arduino 之間的傳輸參數不匹配所致呢 ? 我確定已設成 38400, 但不知還有甚麼參數該調整 ? stop bit 嗎 ? 還是 parity bit ? 並重新燒進 Arduino ? 以因應 HC-05 baudrate 修改 ? 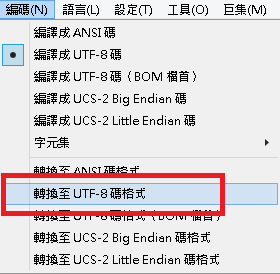 我改用 USB -> TTL 轉接線直接接上 HC-05 藍芽模組, 並使用 Tera Term 設定 Terminal 的 New-line 為 Transmit: CR+LF, 在進入 AT command 模式後可以得到 AT command 的正常回應. 推測是 Arduino 的 SoftwareSerial.write 函式或許會 trim 掉 CR 或 LF 字元, 導致雖然我從 PC 或 Serial Monitor 下 AT command 時有加上 CR+LF, 但是在 Arduino 程式裡將 Serial 讀到的字元寫到 SoftwareSerial (也就是 BT 用的介面) 時, 少了 CR 或 LF 其中一個. 等一下會回頭去驗證這個想法.